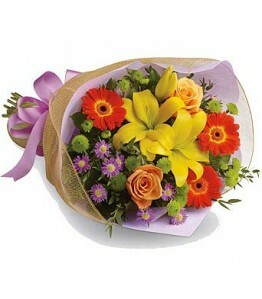 There is no better way to express your feelings than delivering natural flowers to house and office! If you can’t personally present a bouquet we will do it for you. Wide choice of flower compositions and delicious presents awaits you in Sao Paulo Flower Shop. Choose a bouquet that will convey your feelings the best and we will see that the addressee receives it exactly on the indicated date. Send flowers to Sao Paulo today! For each of those occasions we have a perfect bouquet with a style to match: romantic, classic, business or luxury. Doubt that flowers will be enough? We can add a small gift to the composition. Cute Teddy Bear and box of chocolates will leave no girl impassive. Also everyone will like classic, universal glass vase. We have fine wine collection to offer for your business partners and directors. And of course, your regards, written on special card will be the finishing touch on the perfect present. What to do when you need to send a gift to a man? Your colleague, business partner of boss, for example? 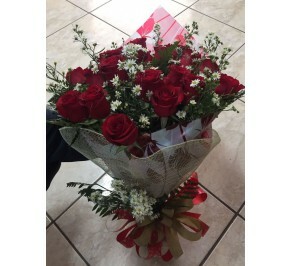 While giving flowers is a common way to express your gratitude and support to your friends it may seem inappropriate to the person you are barely familiar with. Sao Paulo Flower Shop offers universal solution: fruit and pastries baskets for gourmets! A bottle of wine or champagne may serve as a pleasant addition to the present. Rest assured – even the strictest boss will appreciate a gift like that! Brazil Flower Shop — sharing feelings no matter the distance!